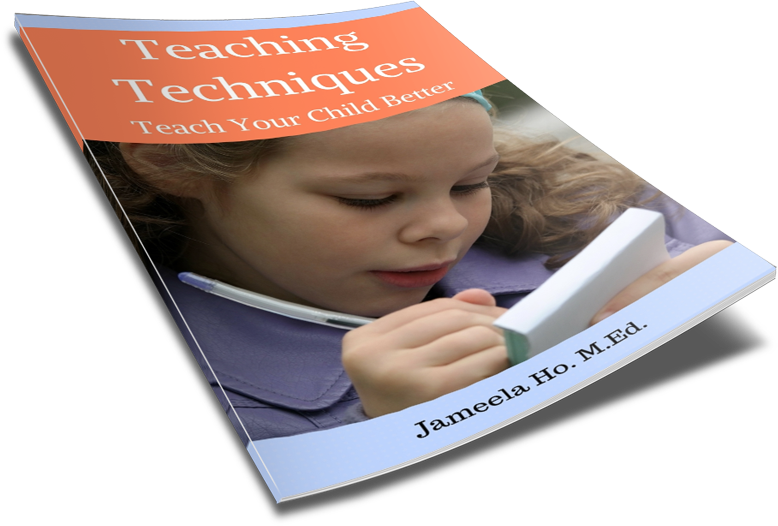 The way you teach your child will determine whether your child will learn or not. 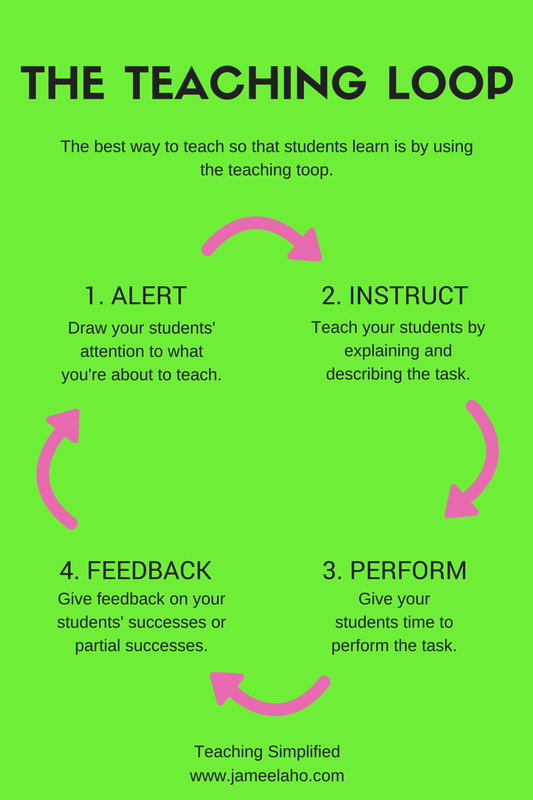 One way to teach is to use the teaching loop. 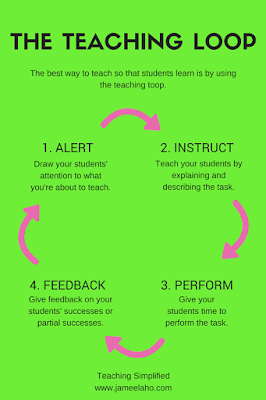 Research has found this to be the best way to teach. There are four steps. You begin by first alerting your child to be ready to learn. This is obvious as you would want to draw your child’s attention to what you’re about to teach. Without focused attention your child will not be able to concentrate to learn. Gain your child’s attention by showing him something that is related to what he’ll learn. If he’s going to learn about butterflies then a book or photograph of a butterfly is a good cue. You could also show and start talking about the material that your child will use. An example would be if he’s about to learn angles and you show him the protractor and start talking about what it is and how to use it. Another way is give a resource to your child to play with. If he’s going to learn about shapes then give him pattern blocks to play with. Once he’s finished playing, you can then go on to the next step, which is to teach. Once you have your child’s attention, you then give the instructions by describing the task. Your child needs to understand what it is that you want him to do or learn. You give clear instructions and, rather than telling your child what to do in a commanding style, you explain it by describing it and modelling it where necessary. Remember though that when your child is totally disengaged from what you’re teaching, then stop. There is no point in teaching when he is no longer interested because you won’t have his attention any more. When your child makes a comment or asks a question, don’t ignore it but respond to it by saying something. A study has found that when you respond to your child’s vocalisations then it helps him to learn. To help your child if he is stuck, you can rearrange his position or materials. So if he’s finding it difficult to use the protractor then position it in the right place on the angle for him. When your child has finished the task then talk to him about what he has just done. Give positive feedback on your child’s successes or partial successes. You can give feedback on your child’s efforts or behaviours not just on performance. Remember, you can also show your child feedback non-verbally by making soothing responses, such as smiling, nodding, clapping, patting, touching, caressing, kissing and so on. Read on to learn how to keep students focused at each of these stages (next post).